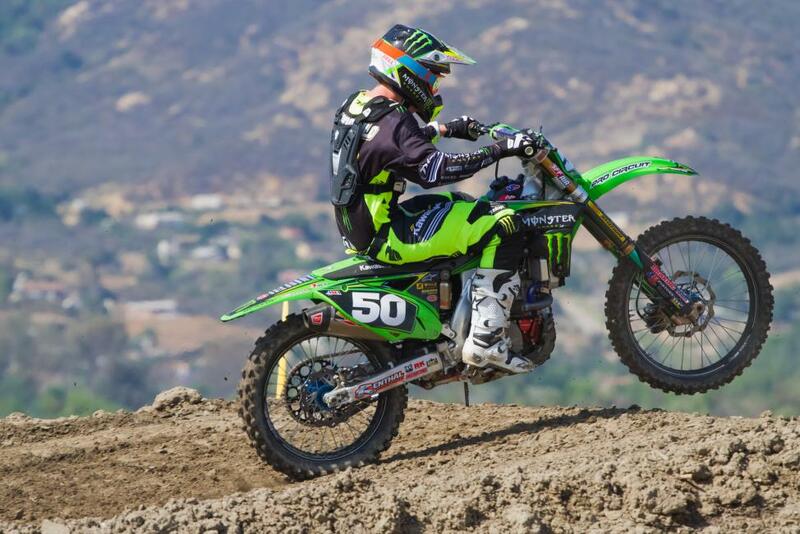 Josh Grant will have more to contend with this first race than just other riders—he's coming back from a hard crash. It’s time to start over! After seventeen supercross rounds in eighteen weeks, we’re able to close the book on that journey and look forward to a brand new summer. Don’t get me wrong, everyone loves supercross. But, like everything, it’ll be a nice change. Outdoor motocross draws more appeal from the core fan too. Motocross is what we all grew up riding and is much easier for the casual rider to identify with. Even further, most of the fans that line the fences on Saturday afternoons have ridden countless laps on that actual racetrack. To watch the heroes of the sport blaze around their local track is a pretty unique aspect of professional motocross. As much as die-hard Talladega fans loves their NASCAR, they’ve probably never gotten to drop the hammer in their Bonneville on that same tarmac. The same goes for all of those Derek Jeter jersey-wearing Yankee fans who will never get to step into a Bronx batter’s box. Motocross offers that chance. Fans will get to watch Ryan Dungey come screaming down the High Point stair steps and can pick their way through those same ruts a day later. There just aren’t many sports out there that allow such personal access to its stars as well as the opportunity to participate on the same stage. I did consider that some try to run across baseball fields during games to gain that level of experience, but they usually end up concussed by the elbow of a Wackenhut security guard. The Sacramento suburb of Rancho Cordova plays host to the first round of the 2015 Lucas Oil Pro Motocross Championship. Having raced this and most of the other rounds many, many times, I know all too well what challenges Hangtown presents. The dirt base is hard…very hard. I can remember racing around in the second moto when the turns were full of nothing but black residue from the endless wheel spin. Over the years, the Dirt Diggers have brought in more and more soft dirt to improve traction. Not only does traction improve, but it also makes the course quite a bit safer for the inevitable crashes that motocross sees. As the day rolls on, the softer dirt will begin to push to the side and the hard base will rear its head. The bumps will get choppy and the edges become square. Being the first race of the year, many will feel every single bump and hole during that second moto as bodies are still adjusting to the grueling demands of outdoor motocross. I can remember coming through sections and going far out of my way just to avoid hitting any bump I didn’t have to. Later in the season, I would have blasted right through it, but this first race is tough to feel 100 percent ready for. Even the winners will be sore on Sunday after the first test of the year. One interesting point I remember about Hangtown was how difficult it was to get the bike to handle properly. All of the testing has been done on practice tracks and race settings aren’t available yet, so it’s tough to know exactly how the bike will respond. Having smart technicians around can speed up the process, but they can only improve the bike based off of rider feedback. The downhill sections at Hangtown are always a tough proposition as the front end is pressured, freeing up the rear end to get all sorts of unpredictable. Watch the bikes at these early rounds and see who is comfy and who is holding on for dear life. Many times the Hangtown track is a compromise on setup, leaving riders always searching for something better. The track has been the same basic layout for many years. Of course, there have been minor changes along the way such as the starting line being moved in the opposite direction, but generally it has been the same track since the 1990s or before. Long, gradual up-hills and down-hills are trademarks for the northern California series staple. For 2015, there’s a new jump spanning 150 feet called the “FLY 150” to mark Fly Racing’s series involvement. It will be interesting to see how this new jump pans out, as reviews are generally mixed on big obstacles on outdoor motocross tracks. As long as it’s safe for pro level riders and there’s a reasonable alternative to jumping the entire distance, I have no issue with a big jump now and again. Let’s just say that I’m in favor of the obstacle’s name as well. 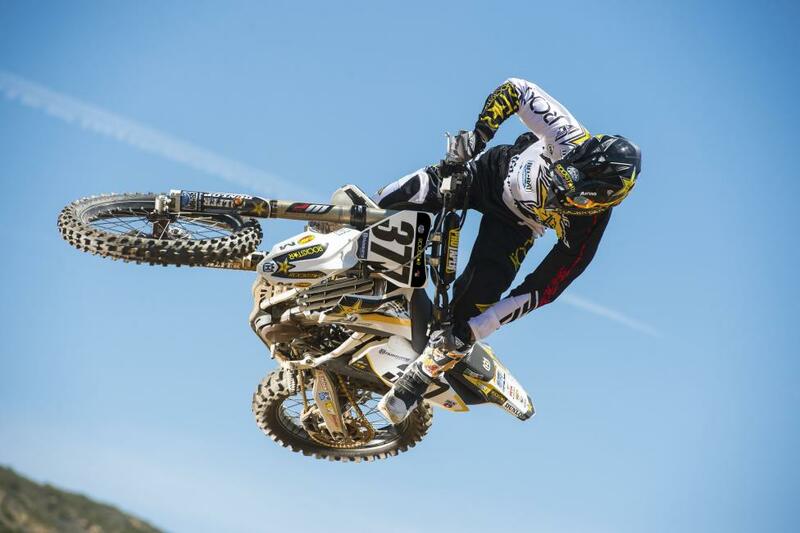 Jeremy Martin picks up right where he left off in 2014, winning both of the opening motos of the season. Hearing that there’s a new half-pipe section at Hangtown, snowboard legend Shaun White signs up for the 450 Class. Given the past success of red-haired participants, many experts put White in their top-five predictions. Unfortunately, White doesn’t race motocross, probably can’t even start a dirt bike, and would end up in the local emergency room if he even daydreamed about racing on Saturday. But I do appreciate you playing along, and for that, I thank you. Ryan Dungey wins the overall at Hangtown but has his hands full with Eli Tomac and Ken Roczen. 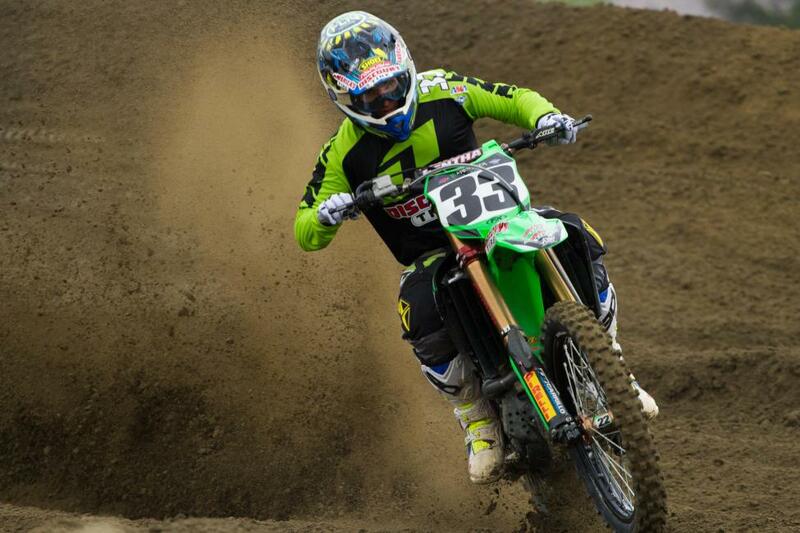 Adam Cianciarulo holeshots his first moto back on the racing circuit. Blake Baggett leads one of the motos.